virtual reality | WorstPlans.com updates every Monday! Finally, you can become an ant, thanks to the power of VIRTUAL REALITY. Currently, there is no easy way to have the experience of becoming a tiny ant [*]. This is a shortcoming that could not be addressed—until now, thanks to modern VR technology! [*] You could watch the 1989 film Honey I Shrunk the Kids, but that isn’t an interactive experience. Create a small remote-controlled car with two cameras on the front. Set up the R.C. car cameras to transmit to the VR headset. Figure 1 shows the result of these steps. Now you can be an ant! Fig. 2: The experience of the viewer in VR goggles is shown at right. This is definitely exactly what an ant looks like close-up, as anyone who has seen the “Planet Earth” series can confirm. That’s how you know that this image was drawn with extensive consultation of reference material. This “ant VR” system theoretically be used for other purposes as well; maybe the ant-sized drone could check for cracks in hard-to-access parts of bridges or buildings, or an aquatic version could swim through a city’s water system to allow maintenance personnel to both look for leaks AND ALSO pretend to be an eel at the same time. Finally! PROS: Lets you feel kinship with your insectoid brethren, the ants. CONS: After spending a while in VR, you might think you actually ARE an ant and become unable to participate in human society. Figure 3 (bonus): An extremely detailed technical schematic that will be used for manufacturing. Stop paying living wages and replace all your employees by robots—even if the A.I. isn’t there yet to accomplish the task that the employees did! See below for how this revolutionary new way of thinking is possible. Also if you are not a cartoonish plutocrat with a top hat, please do not read this post. Running a business is expensive, and employee wages are usually a huge fraction of total costs (see Figure 1). However, these jobs can’t always be eliminated: many jobs still REQUIRE a human employee, and jobs that require an on-site presence can’t be outsourced. Fig. 1: This employee has to be on-site to operate the poorly-drawn green rectangles in front of him. He costs 8 of these nebulous “currency units” each day. Some jobs require an on-site presence and are difficult to outsource, but perhaps we just weren’t thinking hard enough! In this proposal, a difficult-to-automate on-site task can still be solved by a human operator, except the operator is living far away (in a cheaper cost-of-living country). The remote operator then performs the difficult-to-automate task using a virtual reality interface (Figure 2) that controls an on-site robot*. Fig. 2: Employee (b) in a low-wage country uses the virtual reality / telepresence gloves (c) which are connected to computer (d) and Internet-connected antenna (e) to send a signal (f) to the far-away robot (g) in the high-wage country. Now the guy from Figure 1 can be fired and replaced by Figure 2 guy plus Figure 2 robot (which costs two “$” per day in ongoing maintenance costs). Even with this new robot-maintenance expense, the system is much cheaper than the traditional one in Figure 1. Now you can fire all your local employees and replace them with remotely-operated robot arms operated by underpaid foreign laborers. PROS: Reduces operation costs for your company. The employees can retrain and… go do whatever jobs are left for humans, like writing operas. CON #1: Maybe it shouldn’t be called a “robot” since it’s not autonomous? Apparently you can call this system a “remote manipulator” or “waldo” or “telefactor,” but those haven’t really entered the popular lexicon (yet). CON #2: You might say “hey, if these robots are operated by citizens of a foreign nation and replace all the industrial capacity of my own country, what prevents that country from just deciding, one day, to take all the robots over, seizing my factory in some sort of cyberpunk-flavored Russian Revolution?” Unfortunately, the solution to that is rather long, and there is insufficient space to write it here. Feel the illusion of progress while accomplishing nothing! A “panorama treadmill” trick with metaphorical applications to other aspects of life too! Running on a treadmill can be quite unrewarding due to the repetitiveness and relatively long duration of most treadmill-based exercises. Fig 1: This treadmill needs to be jazzed up somehow. There are certain “gimmick”-based treadmills that connect to a monitor to give you the illusion of actually making progress toward a destination as you walk. However, none of these is particularly immersive; it is still quite obvious that you are walking on a treadmill and staring at a screen. Fig 2: As the user runs, the video on the treadmill updates to give the illusion that the user is actually running outdoors. But it’s still obviously just a screen, so the experience is sub-optimal. Instead of using a standard monitor for the video output, we can either use a curved screen (if a sufficiently cheap one can be found) or a curved projector screen and a few cheap projectors. Now the screen actually covers your peripheral vision, so you really get the illusion of movement! Fig 3: A curved screen gives an immersive treadmill-running experience. Just like being outdoors! We can even save money by only projecting in high-resolution to the middle of the screen—since the sides will only be seen in the runner’s peripheral vision, those areas can be extremely low resolution. The lack of options for dealing with a user’s disgustingly sweaty face. PROS: Provides extra motivation to walk on a treadmill (or use an elliptical machine / rowing machine / stationary bicycle / etc.). CONS: Takes up a lot of space. If you buy one of these for your own house, it will be even more of a shameful reminder of your lack of dedication when you stop using it after four weeks. Pet owners with 9-to-5 jobs may find that they miss their noble animal companion during work hours. Some workplaces will allow well-behaved animals to hang out at work, but that is usually limited to dogs and draft animals. In any case, this addresses only a small subset of all possible domesticated animals. However, with this new solution, we need not worry about badly-behaved animals, coworkers with allergies, or any other issues. This “home office” is actually just an environment where the user’s pet will dwell during work hours. The home office will contain many cameras (the blue rectangles in Fig. 1), which will reconstruct the exact location of the pet in the home office environment. This could be done with a technology similar to the Microsoft Kinect (https://en.wikipedia.org/wiki/Kinect). Finally, while at work, the user will wear a VR headset at all times. The headset will superimpose the home image of the pet on top of the user’s identical desk at work. It is possible that the desk and furnishings at home may need to be painted green in order to “green screen”-out the non-pet elements of the home office. Fig 1: The user’s home office (or wherever their pet lives) will need to be configured with the exact same layout and furniture as the user’s desk / space at work. Cameras (in blue, above) will determine the exact orientation of the pet and render it in a 3-dimensional voxel space. Note: constructing the home office would probably be easy for most office jobs, but if a user’s job is (for example) deep-sea giant squid inspector, it could be more difficult to affordably re-create the work environment at home. 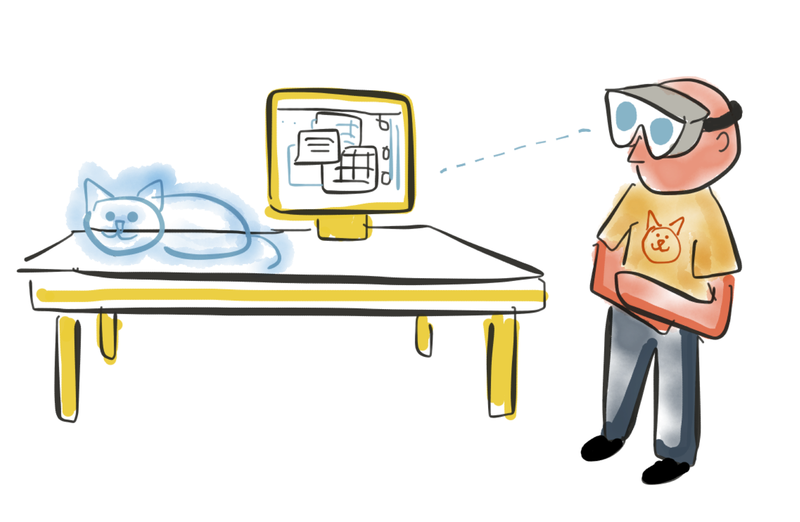 Fig 2: Here, we can see the virtual-reality-goggles-wearing pet owner at the right. The cat image appears real to the headset wearer, but is naturally invisible to everyone else. Since the home office has the same layout as the work office, the pet’s actions at home will appear to match the work environment; e.g., the pet could climb onto the work table or monitor, since there is actually a real-world analogue of those objects in the pet’s environment at home. Note that it may also be possible to run this system in reverse; a pet could also wear a virtual-reality headset and obtain a “holographic” image of its owner at work. PROS: Allows a pet owner to get 8+ additional hours of pet enjoyment out of a day. CONS: May require substantial real-estate to be dedicated to the “home office” pet environment. Bonus figure: Here is a potential patent application illustration for this amazing idea. There are a number of popular computer games that take place in forbidding environments—in a blizzard atop a snowy beak, or inside a volcanic caldera. However, there is no way of conveying the real feeling of temperature to the player. In a game like Skyrim, the player will be no worse for the wear even after blithely trudge through a blizzard for hours wearing only the medieval equivalent of a T-shirt. Fig 1: Some kind of cold place with both penguins and igloos. Maybe a zoo in the arctic. Geographically questionable. Immersion: ruined!!! Fig 2: Volcanic Caldera. Still a comfortable temperature at the desk, however! Immersion: ruined!!! Games could have an interface to an array of different environment-affecting applicances. For example: a fan, an air conditioner, a space heater, and one of those supermarket mist-ers for keeping vegetables fresh. When playing a game and wandering about on an icy mountain peak, the air conditioner and fan could both be going full blast, prompting the player to find shelter inside a tavern with a roaring fire (which would engage the space heater). Perhaps in games with a protagonist who can swim, the supermarket mist-er could continually spray on the player while they were in the water. Realism! Fig 3: A set of fans could be used to give the impression of motion, as well. It might be possible to just integrate temperature control into the controller using the Peltier heating/cooling effect. Or perhaps a vest that the player could wear, so as to provide a more complete experience. Fig 4: Maybe the mouse could be heated / cooled for a faster-to-heat-up/cool-down and more cost-efficient system? That is supposed to be a mouse, by the way. There is a possibility that sufficiently determined players might actually freeze to death while playing games, but natural selection should solve this problem within a few hundred generations. A simple version of this concept could be implemented with a mod plus a USB-controlled power strip. Fig 5: Just plug this space heater into your USB-controlled power strip, and you can have it cook you whenever the computer commands it. PROS: Would add a new immersive element to the multimedia experience, the likes of which have not been seen since the demise of “Smell-o-vision” in 1960. CONS: As you might expect, there are none!